CSLDallas is thrilled to partner with Monica Blossom! Monica is a conscious dance facilitator, events producer and social entrepreneur deeply committed to the healthy evolution of humanity through the power of movement meditation, music and heart-centered community. 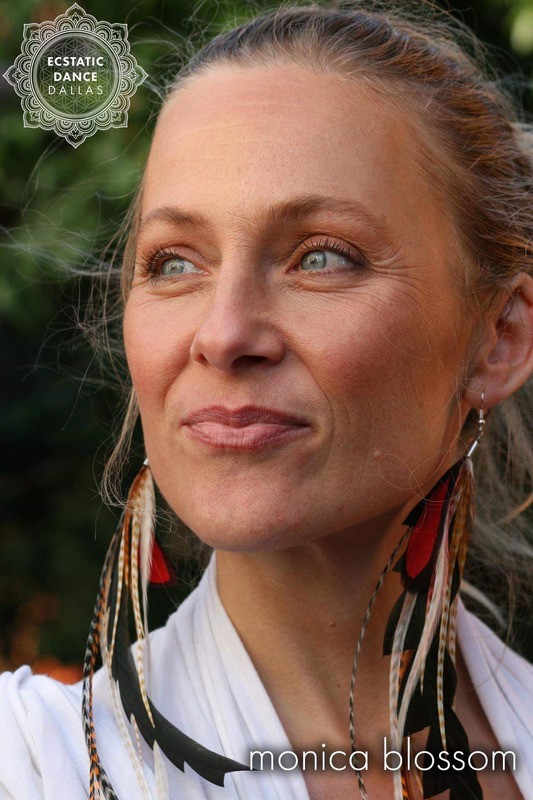 She is the founder of Ecstatic Dance Dallas which produces multiple conscious dance, music and Bhakti yoga events annually, in addition to Ecstatic Dance twice per week every week in Dallas, Texas. Monica is a dedicated steward of conscious community, a connector, freedom instigator, eternal optimist and lover of life based in Dallas, TX. People all over the world and from every walk of life, generation and gender are discovering Ecstatic Dance; a mixture of movement meditation, carefully architected multi-genre music, creative self-expression, conscious community connection, and soulful sweat. Connecting first with yourself through free and inspired body movement is the true power. From there, connection with a larger life and others happens effortlessly. Humans have danced since time immemorial; for pleasure, ritual, and prayerful purpose. Dance is our birthright. Here you’re invited to MOVE, BREATHE and Be FREE as you were born to be! It’s sophisticated in its simplicity. Just dance. What happens from there feels like magic. What to Expect: Great music, exercise and people! Here you can free your mind and body, connect with yourself, your intentions and a creatively courageous community. If you want to JUST DANCE, join us. The fearlessness with which this community shows up to play, leap, roll, and move gives you permission and courage to dance your dance without judgment. Dance alone or dance together. Move with what feels right for YOU! This is a safe space held for movement exploration that frees your range of motion physically, mentally and emotionally. No experience required. This is a drug and alcohol free environment. We hold a nonverbal, barefoot, alcohol-free container to keep the journey intentional and lucid. You can dance the night (or day) away and still wake up early to do awesome stuff in the world!